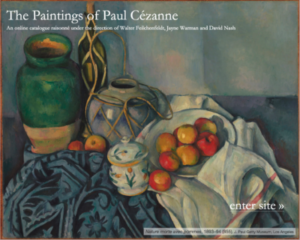 As important as it is to remember that Cézanne is always fully open to the challenge of each site and deeply engaged in realizing it in paint, a site may, at times, present no difficulties whatever. I suspect that may have been the case with the northern motif that came to be realized as Groupe de maisons, paysage d’Ile de France. The ground at the left edge slopes down at the same angle as most of the roofs, the two providing a consistency and rhythm of movement that needs very little work to be balanced. The parallel touch is admirably suited to this: without labor or emphasis, the work is done with a few diagonal touches in the trees and a few rougher ones in the distant hill. 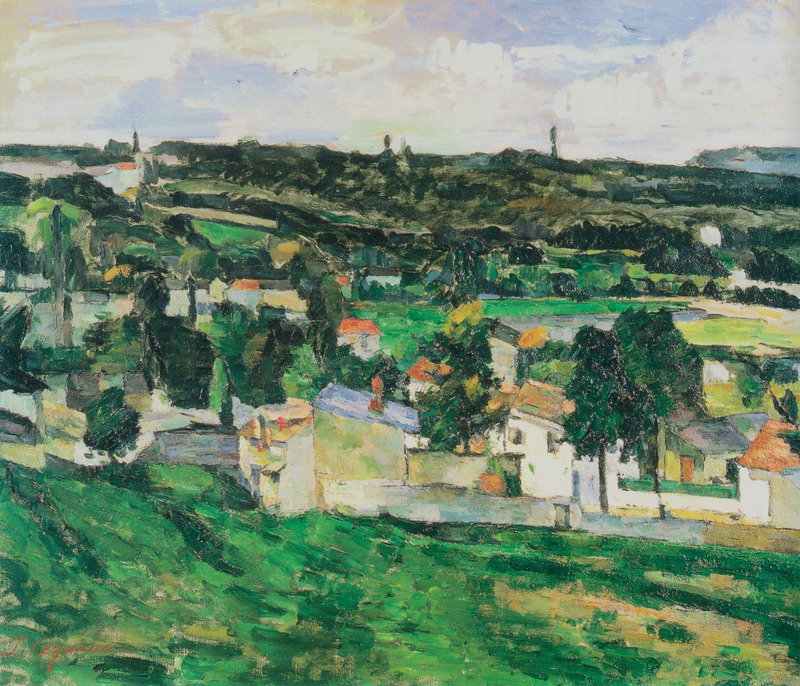 So important is this balance to the picture that Cézanne elaborates the middle ground, where the sharpest interplays occur, with repeated applications of paint; but he does not smear them—not there—retaining instead their distinct hues and values and keeping their rhythms clear. Adapted from Pavel Machotka, Cézanne: The Eye and the Mind.